Here are some of our past projects! Jr. EC has partnered with ITK - Inuit Tapiriit Kanatami (ITK) formerly Inuit Tapirisat of Canada, the national voice of 55,000 Inuit living in 53 communities across the Inuvialuit Settlement Region, to develop a financial literacy toolkit that is used to educate Inuit youth across all 4 Arctic regions of Canada. This project produces a culturally relevant financial literacy toolkit that is used by Inuit Youth Coordinators, educators and other organizations providing programs for Inuit Youth. We have worked with 7 Youth leaders across all 4 regions to help with the development of content, testing & evaluation of the toolkit. These youth will also be promoting the toolkit in their respective regions, at their various regional youth meetings and symposiums. The toolkit was formally launched during Aboriginal Awareness Week on June 20th 2016. We are now traveling to remote regions across the north to run workshops for youth promoting the toolkit and to train local community leaders. Sides* is a content stream for youth created in partnership with Bell Media. 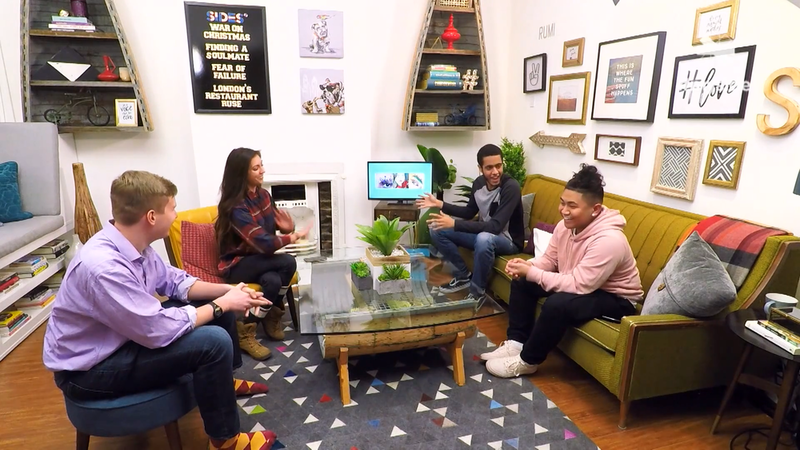 Anchored by a first-of-its-kind weekly LIVE TV show on social media, our feed stays fresh all week long with a mix of produced and user-generated content across all social channels. Sides* passes the mic to the next generation and lets them lead the conversation. We want to give our younger generation a voice and a platform to talk about serious world issues from a fresh and youthful perspective. Our goal is to encourage more youth to engage in meaningful conversations about the world around them and the issues that pertain to their future. We’re everywhere our audience is, including TV. We curate the best of the week into a one-hour TV series. Sides* mixes the unfiltered discussion from the “LIVE social first show” with the viewers’ social media reaction and rants, airing on MUCH every week. Sides* completed its first season in 2017.